New Logo, New Year.... Time for an Updated Banner ! 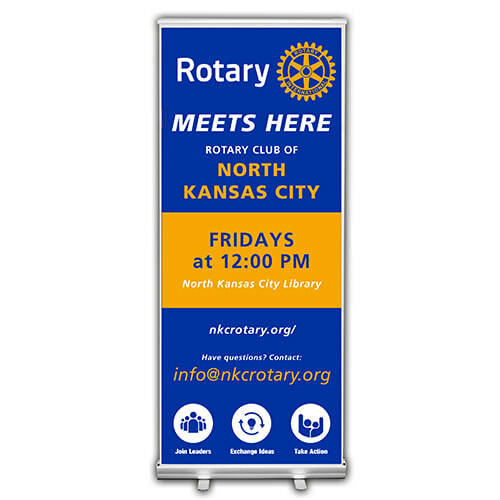 ​Public image is a priority.Purchase a pull-up Retractable Custom Club Banner and District 7300 will reimburse each club up to $125. EASY! --- PICK A COMPANY TO MAKE IT AND TELL THEM WHAT DESIGN YOU WANT. THEN PAY AND TURN IN YOUR RECEIPT. 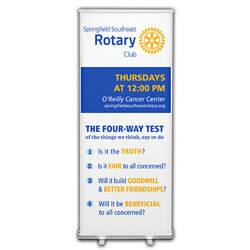 ​If your club decides to customize a banner, make sure your can Answer these questions when completed with design. Do we have the Proper Rotary Logo? , Is the Correct Website or Facebook address on banner? , Correct Meeting time and location? , Engaging Photo? and does our banner have a Reusable frame for switching of banners? You are welcome to purchase your banner through a local/ trusted vendor. 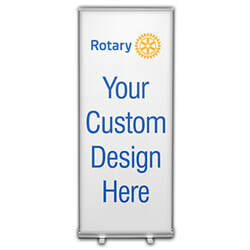 However, if you are looking for a few suggestions try the following ( banners range from $110 to $300.) The following company is in a random order. ​Questions? Call 724 264 5846 ask for Felicia !